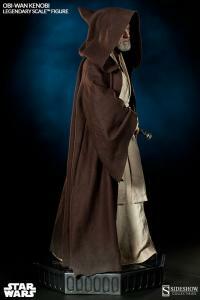 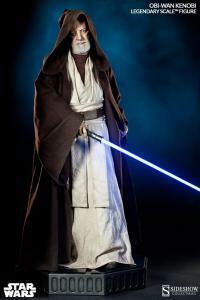 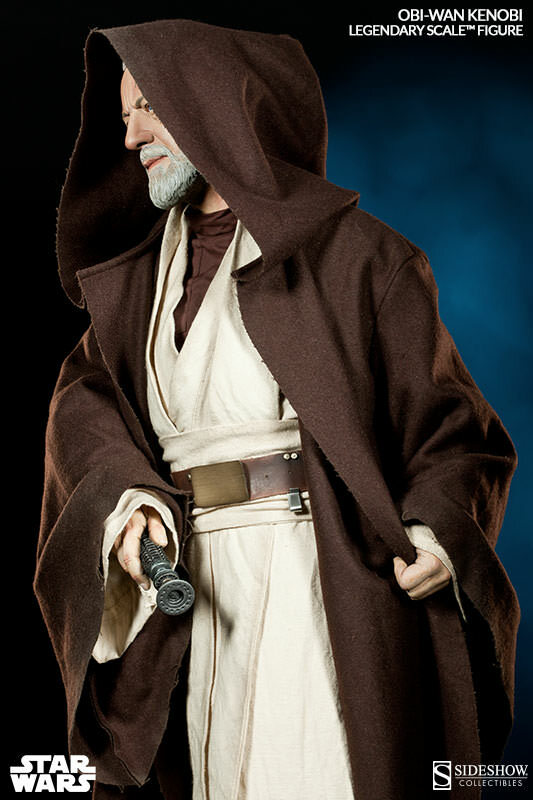 Joining our acclaimed Star Wars collection, Sideshow Collectibles is proud to present the Obi-Wan Kenobi Legendary Scale™ Figure. 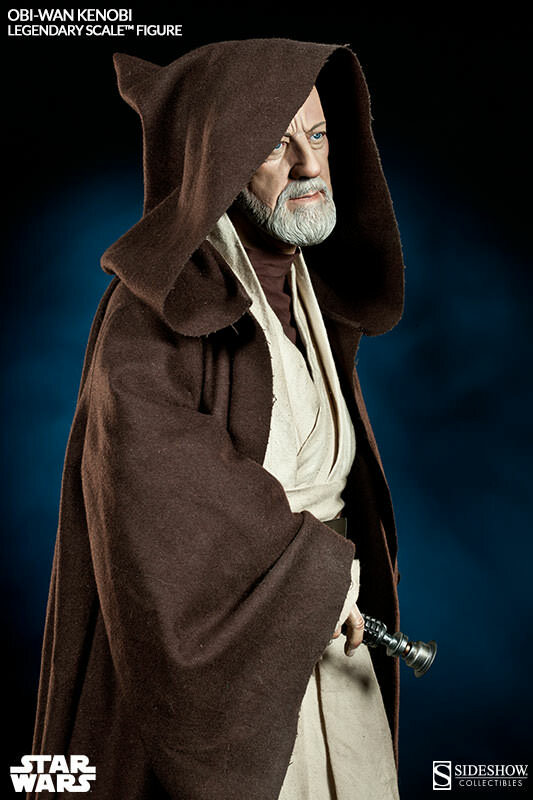 Standing over three feet tall, this cinematic presentation captures Sir Alec Guinness’ unforgettable performance as the heroic Jedi master in Star Wars Episode IV: A New Hope. Featuring an authentic hand-tailored costume, and glowing blue light-saber at the ready, the circle is now complete, as Obi-Wan makes his final preparations to confront Darth Vader for the last time and become one with the Force. I am still in shock at how magnificent and truly grand of a statue this is, it's surreal that such a breathtaking sculpture exists. 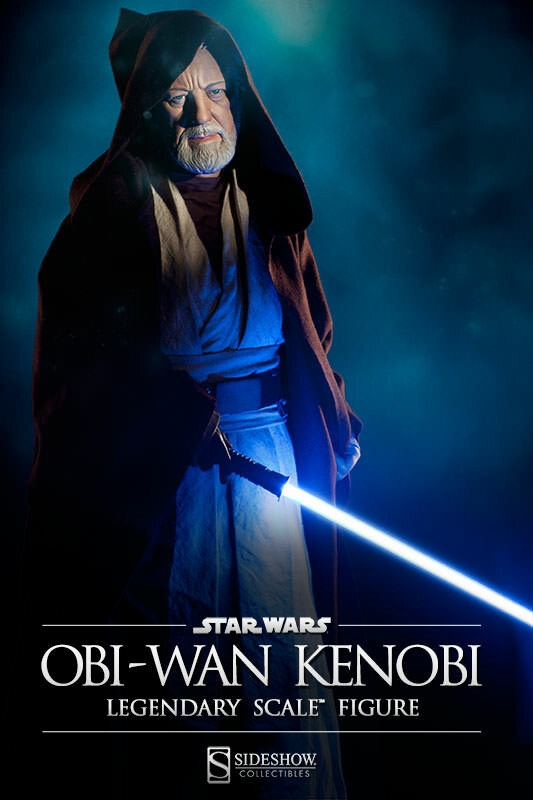 I wish I could go further into detail and write an entire essay, but to keep this short, I'll say that this is the most beautiful piece of Obi-Wan artwork ever made.